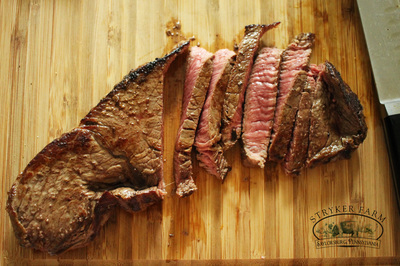 This is the kind of breakfast that will stay with you throughout the day. I will make this sort of meal before a day of yard work or the like. Pat steak dry and rub in olive oil, salt and pepper. Heat a cast iron skillet, get it super hot! 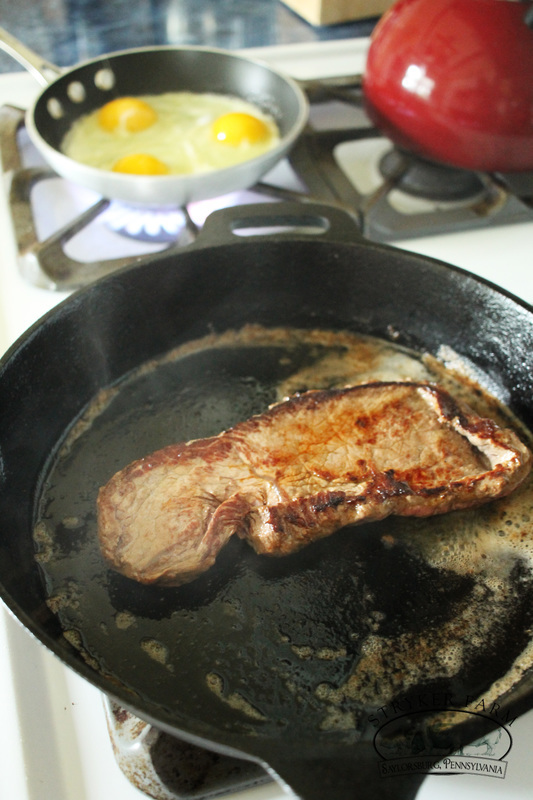 Place the steak in the pan, if it doesn’t crackle and smoke it’s not hot enough. Add the butter to the pan along with the tomatoes. 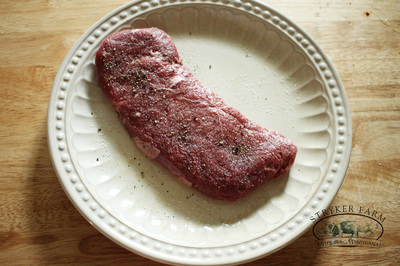 Sear the steak for 3 minutes, then flip and sear the other side for 3 minutes. 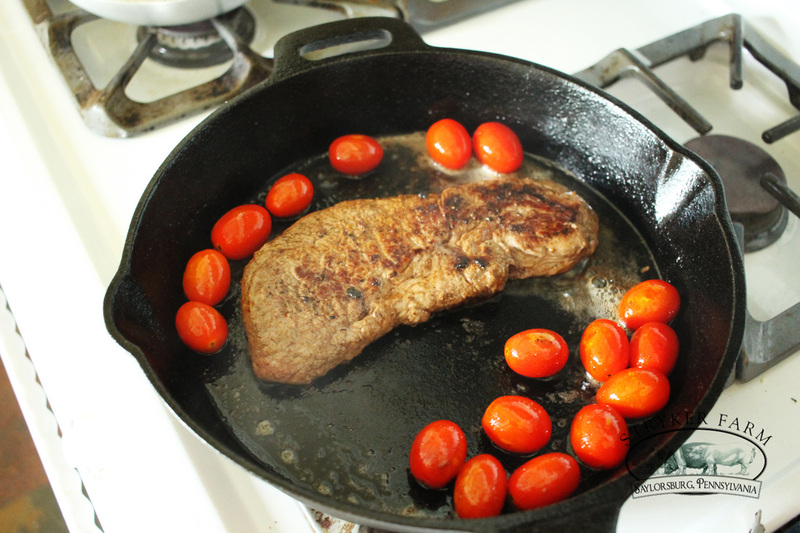 While the steak is cooking, toss the tomatoes around in the butter and let them char and explode. Remove the steak and tomatoes from the pan. 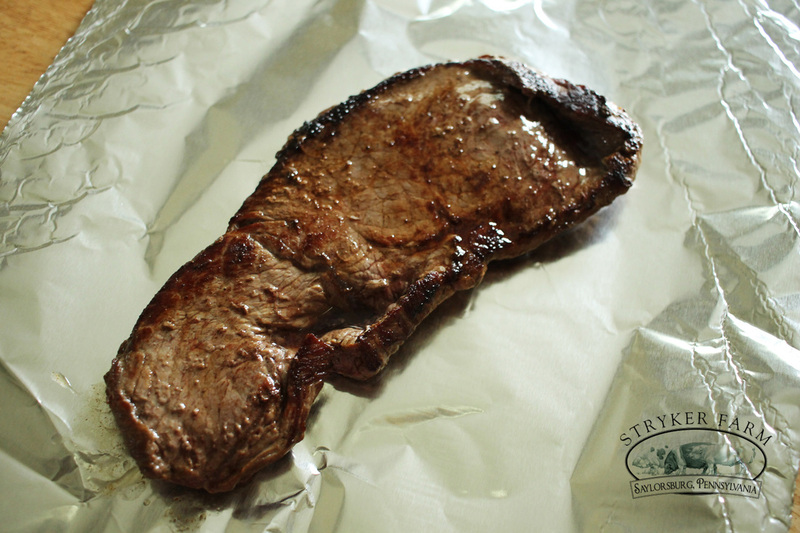 Allow the steak to rest while you fry up the eggs to your liking. I prefer a fried egg over medium - a runny yolk and a firm white. 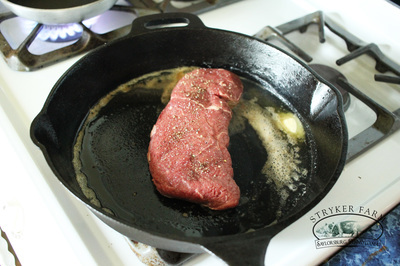 This can be achieved by frying to egg in the skillet with the butter and steak bits on medium heat. 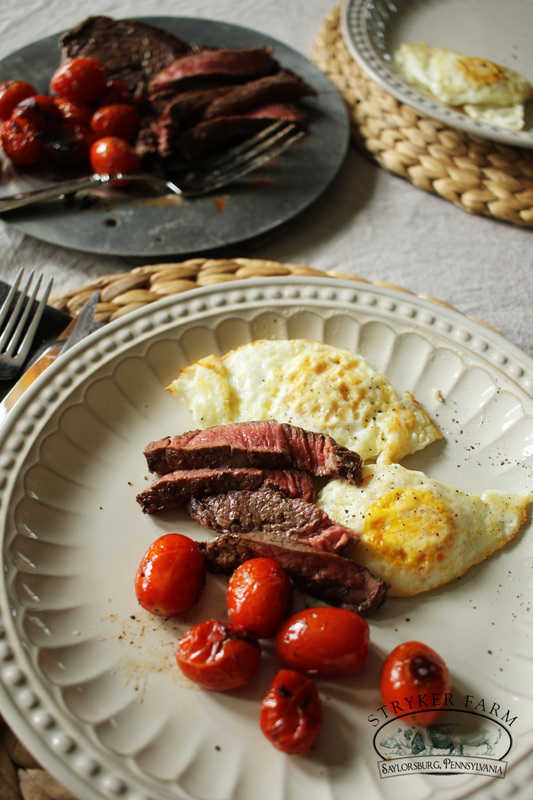 Flip the eggs when the whites are firm. Let the eggs cook only for a minute on the other side then remove from the pan. 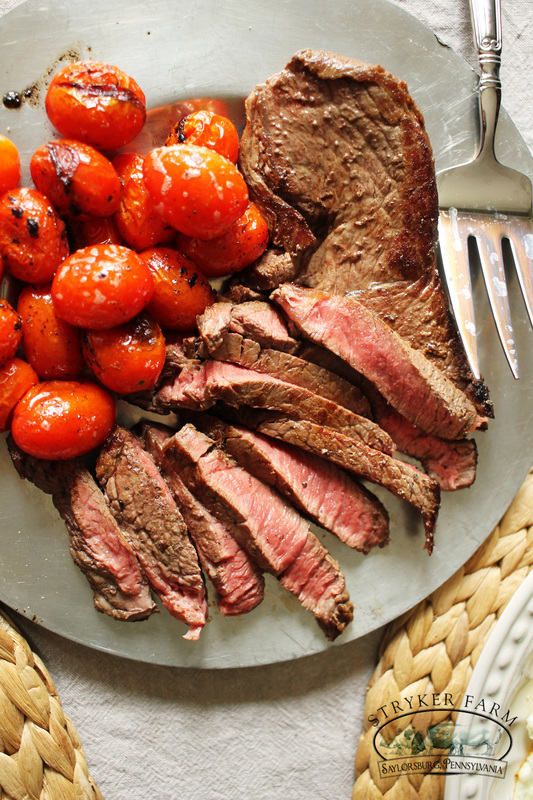 Serve with thick crusty toast and black coffee. Then go outside and chop some wood.